New Zealand Water and Environment Training Academy (NZWETA). Shine Design was hired to illustrate a Weta image for a postcard. Brief: To illustrate a Weta in gumboots. 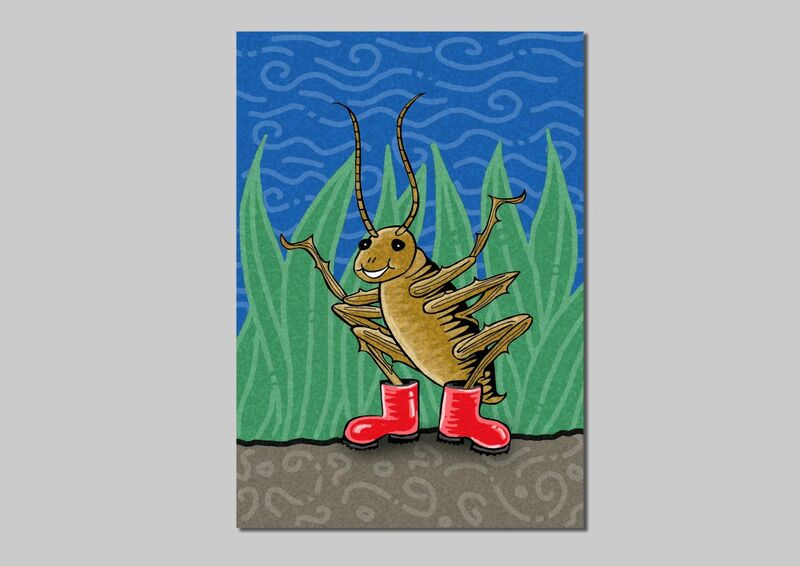 A modern illustration of a Weta in gumboots was created using a combination of illustration media. The finished illustration was black ink outline line with colourful texture background.